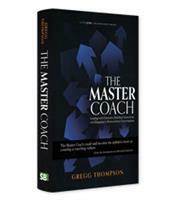 The Master Coach is for business leaders who want to integrate coaching skills into their company cultures. Gregg Thompson introduces the 3Cs Coaching Model, a proven approach that asserts that to master the art of coaching, one must have an exemplary Character that invites the trust of others; the ability to form rapid, deep Connections with others; and the ability to initiate and guide intense, attitude-changing Conversations. Great leaders are great coaches. They understand that developing the skills, talents and mindsets of their people is a vital part of their jobs as leaders. However, the concept of coaching can also be confusing. Early in his excellent how-to book, The Master Coach: Leading with Character, Building with Connections, and Engaging in Extraordinary Conversations, executive coach and trainer Gregg Thompson explains what coaching is not. Thompson also differentiates between coaching and teaching. Teaching is a unilateral exercise, with the teacher imparting knowledge to the learner. 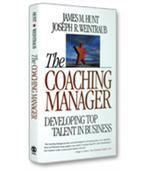 In coaching relationships, both the coach and the Talent are learning together. Character. Coaches must earn the right to coach. To earn the right to coach, to be someone that others will want to listen to, leaders must display authenticity, self-esteem, emotional intelligence and what he terms “noble intention” — the total commitment and focus of the coach on the needs, aspirations and success of the Talent. 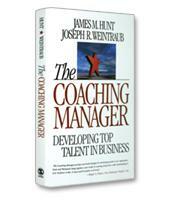 No facet about coaching should be about the coach. Conversation. Dialogue is the process of coaching. Once again, Thompson explores the nuances of what might seem to be an intuitive element of coaching. He emphasizes, for example, the importance of unpredictability and risk in the conversation. An effective coaching conversation is going to take people out of their comfort zones. “The coaching conversation does not unfold without wrinkles,” Thompson writes in one eloquent passage. “It confronts the questions that need to be asked and challenges the Talent to answer them honestly.” Another facet of the coaching conversation is to help people understand the “prevailing personal story” and how they can change it. 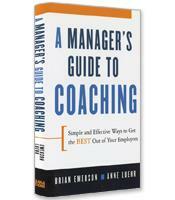 Detailed and honest, built on personal experiences with clients and supplemented by insightful lists (e.g., the seven characteristics of a coaching culture; the top 10 ways to build a long-term coaching relationship), The Master Coach is a comprehensive, well-structured guide for leaders ready to begin their conversations with the people they want to coach.